Polaris Warranty Case Study - After Inc.
Headquartered in Minneapolis, with annual sales of $4.5 billion and over 8,000 employees in 16 countries, Polaris Industries is a recognized leader in the Powersports industry. 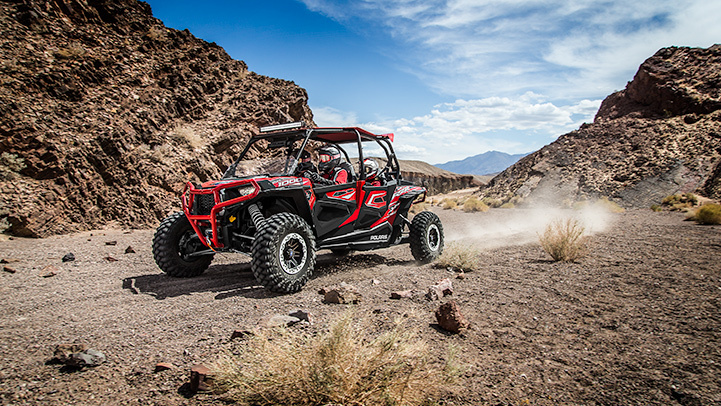 Polaris designs, engineers, and manufactures innovative, high quality off-road vehicles — and then markets through an extensive network of both self-run Polaris and external partner dealerships. Their Extended Warranty business, run by their Finance organization, is a critical source of revenue and profits — and in many cases, their only direct connection to their end customer. Limited customer awareness of extended warranty product & benefits. Insufficient POS staff training and priority on selling extended warranty products. Low converting after-market postcard campaigns. Limited finance team time & consumer marketing expertise. The Polaris warranty marketing team, led by Financial Services Manager Kelly Clawson, faced a threefold challenge in achieving their aggressive growth targets. First, their point-of-sale conversion rate on extended warranties was low – due mainly to a lack of customer awareness and education around the program benefits and values. Second, it was difficult to train their large network of dealers on how to effectively sell the program – even their own dealers struggled to prioritize extended warranty education. And third, their team knew that there was much room to improve on their existing after-market postcard program – but felt they didn’t have the necessary time or consumer marketing expertise to evolve the program. Clawson’s team reached out to After to help transform their program into a best-in-class marketing operation that could quickly ramp up to achieve their revenue, profit, and customer experience goals. Organize and enhance customer list. Run predictive analytics to set marketing strategy & budget per customer. Test, optimize & manage ROI to the penny. The first phase focused strictly on after-market sales and overhauling the direct marketing program. to customers across mail, email, call center, web and mobile; and implemented a state-of-the-art ecommerce infrastructure that took the friction out of the customer response process. No matter which channel a customer responded from, they were met with personalized interfaces and information and quick, convenient enrollment mechanisms. The bulk of the work was performed by After, focusing the Polaris team’s limited time on key decisions and inputs. increased conversion rate by 130%. Grew service customers by 200%+. Increased revenue by over 250%. Within 3 months of launching Phase 1, after-market conversion had almost doubled, and the investment had already paid for itself. As continuous improvements were made in the post-launch testing and optimization phase, conversion rate stabilized at an 130% improvement to the baseline. Revenues continue to compound every quarter, driving a high-contributing annuity business for the team. Customer satisfaction reports have also grown, as a reflection of the increased sense of knowledge and security that extended warranty protection provides. After and Polaris continue to optimize the program on a monthly basis, with improvements since launch having already included eliminating a substantial rate increase, moving administration entirely in-house, driving over 30% annual increases in dealer penetration, and achieving multi-million dollar annual increases in both revenues and profits. Our partnership with After has become one of the fastest and most visible ROI drivers I’ve seen. The ongoing collaboration has been incredibly satisfying and a huge win for our internal team.